Are you in need of saving strategies for your household budget? Bulk buying may just be what you need to do. It is a common practice for manufacturers to reduce the selling price of their products if consumers buy more of them. It is not a problem to lower the cost because most of the time, they save on the packaging of the product. This allows them to lower the price of the product if it is bought in bigger quantities. It is encouraging for consumers to buy things in bulk because they get to spend lower per unit. If you think about it mathematically, it is a great saving strategy. Recently, there is more confidence when it comes to spending among Americans. According to an article published on Bloomberg.com, the beginning of this year showed a rise in household spending. It is said to be the fastest rise since 2006. This report came from the Commerce Department during the last week of January 2015. In truth, the article began by saying that consumers paused in spending during the fourth quarter of 2014 but it seems that it is regaining strength in 2015. This is thanks to the many jobs created in 2014 that increased the ability of consumers to spend on their household needs. With that in mind, you will really understand why bulk buying seems like one of the appealing saving strategies at home. Since consumers have the capabilities to spend much at one point, they are opting to buy more at a lower price instead of deliberately limiting their consumption to save more. However, you need to be careful about bulk buying because there are times when you end up wasting a lot of the products that you bought. That waste is not going to save you any money. Make sure that when you buy in bulk, it will all be used up before the product expires. Thankfully, there are certain rules that consumers can follow so they can use bulk buying wisely. It still has potential to save money but you need to know how to approach it correctly. The truth is, the average American seems to be intent on spending more on groceries recently. 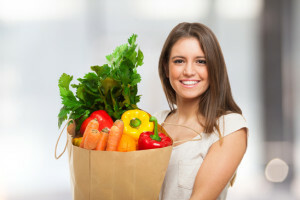 According to an article published on Fool.com, a Gallup poll showed that people admitted to paying more cash on groceries than they did in the past. It is not on bills or other subscriptions. Consumers are increasing their budget when it comes to their grocery shopping. Whether that increase is because of bulk buying, it is not indicated in the report. But one can assume that if you will increase your grocery expense, bulk buying is one way to do that and you can also save in the process. At least, that is true if you follow these simple rules. Make sure you stay within the budget. Bulk buying will only bring you savings if you pay in cash for everything in your grocery shopping list. That means you do not go beyond your budget just to afford it. You will not use your credit card and pay only the minimum requirement. That goes against the goal of saving strategies. If you do have to use your card, make sure you are able to pay for everything in cash. This will take some getting used to but with some self-control, you should be able to get great bulk buying deals and still be within your grocery budget. Buy only what can be consumed in a month. This is the safest that you can estimate. But make sure you still check the expiration of the items you will buy in bulk. In truth, the best items for bulk buying are those that will not expire. Things like toilet paper, trash bags or kitchen paper towels can be bought in bulk without any worry. For household cleaning products, you may want to buy them in bulk but make sure to check the expiration. They do have expiration but it is usually a very long time. Frozen items usually last a month or so as well but try not to make them stay in your fridge for longer than that. Prepare your menu for the week for food bulk buying. Most food products can last for a week or more so this is a great way for your to buy in bulk. If you make your menu, you can plan to use the same ingredient that will allow you to buy more of it. When you buy more, it is may be easier for you to negotiate a lower price. You can plan a trip to the grocery store every weekend to make your purchase. Research the best deals. All saving strategies require a good amount of research. Do not think that just because something is packaged in a bigger box or container, it is immediately a good bargain. You have to make sure that you do your research before you make assumptions. Visit other stores or search for the price online. The product that you will buy should be less or equal to the average price that you will find in various stores. If buying a product in bulk will not give you any savings, then you may want to reconsider buying more than a piece. What you have to realize is that bulk buying will not only help you save on the price per unit. It can also help you save on gas as you only make fewer trips to the grocery. Not to mention the time and effort that you can save – which is quite valuable still. Apart from the saving strategies that you can implement in your grocery shopping, there are other ways that you can spend less at home. According to an article published on USNews.com, everything today costs a little more than it did before. We have the inflation rate to thank for that. The article compared prices in 2015 and compared it to prices a century ago. A home used to cost only $3,200 and now the usual cost is $177,600. A car would only cost $2,005 in 1915 while in 2015, it costs $31,252 on an average. For food, if a person spends $3.51 on a meal in 2015, is only equivalent to 15 cents. Given that, you know that in a couple of years, prices would rise once more and unfortunately, our wages are not as quick to increase with it. This is why you need to seriously contemplate practice smart spending at home. The good news is, there are a couple of things that you can do to lower your spending. Inquire with service providers if you can bundle your current services. There are some providers who offer both Internet and cable subscriptions in one. These bundled services usually cost less than having two separate subscriptions. Use coupons. This is one of the direct saving strategies that you can use to save on your grocery shopping. Simply allot an hour or so every weekend to search for coupons that you can use to get discounts. Some coupons are generous enough to give you up to 50% off on some products. Remove any extras on your subscriptions. You can also remove any extras in your subscriptions like caller ID or a satellite package. If itis not being used or if you can survive on the basic plan, then just opt for that. Learn to do things on your own. DIY is one of the best saving strategies there is. Cook more so you don’t have to buy take out meals. You can also try to plant herbs in your kitchen counter so you don’t have to buy them in the grocery. Do your own gardening too so you don’t have to hire someone to do it for you. Be energy smart. If you have old appliances, you may want to change them into energy efficient ones. They would cost less when it comes to your monthly utility payments. Things like programmable thermostat can help you reduce your consumption and thus help you reduce your energy bills. These saving strategies should help you lower your monthly spending at home. That way, you could leave room in your budget for other things like debt payments or savings.